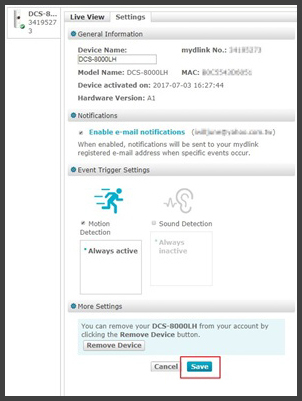 How to send email notifications from my DCS-8000LH when sound or motion is detected? Note: If you are using the mydlink app (not mydlink Lite) and you updated your DCS-8000LH to firmware v2.00 or higher, this feature will no longer work. The camera will not work with mydlink Lite or mydlink.com. Step 1: Open Internet Explorer or Chrome and go to http://www.mydlink.com. 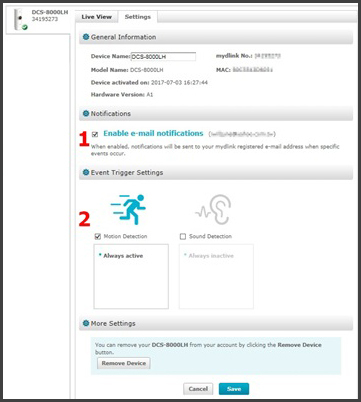 Log in with your mydlink account information. 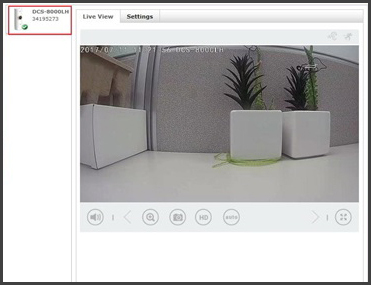 Step 2: Select the DCS-8000LH camera and then click the Settings tab. Step 3:Click the checkbox next to Enable e-mail notifications. 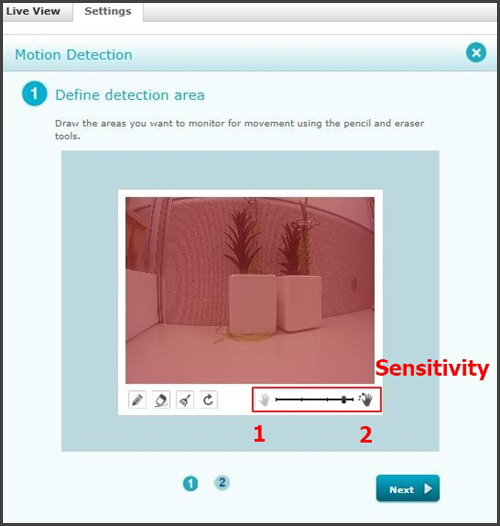 Click the Motion Detection box. 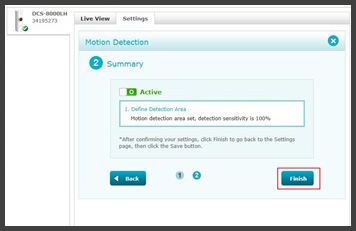 Click on the motion detection icon to configure. You can also set up sound detection. Step 4: Select the area that you want to trigger (represented by a red box). Click Next. Select Always or create a schedule. Click Next. Step 5: Review your settings. Click the button next to Inactive to activate it. Click Finish. Step 6: Click Save at the bottom of the screen.